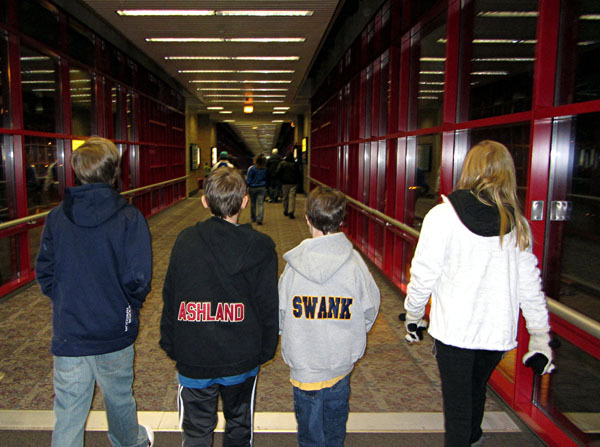 When the Ashlands and Swanks get together, you just know there's probably going to be a long hallway in front of them. I'm not sure what that means, but I thought it represented this picture well. 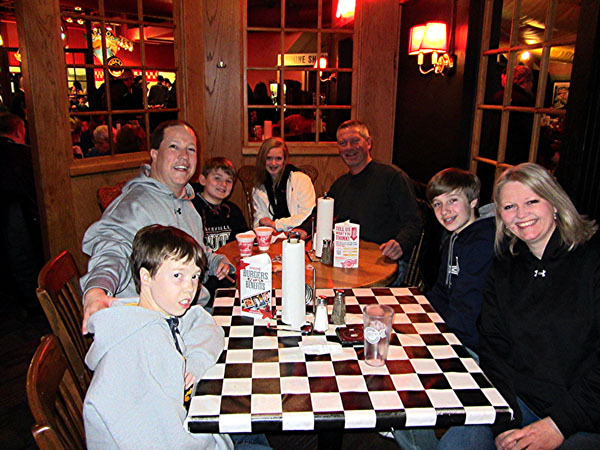 Actually, we joined together with Derek, Kayla, and Tim for a fun dinner out at Fuddruckers and a Saturday night filled with exciting Timberwolves Basketball! And a long walk down that aforementioned hallway. The Minnesota Timberwolves' season started with a lot of high hopes, but after a seemingly unending plague of injuries sustained by the team, they've had a rough patch of games lately. Yet, we figured with the energy of our team behind them, perhaps tonight they would put on a great show. And that they did! During the pre-game warm-ups, I snuck down to court side to snap some pictures of the Spanish Sensation, Ricky Rubio. I usually do that until one of the security guards says to me "Sir, you can't take pictures there." Then I go back to my seat. This time it happened in less than a minute, so I thought that was pretty good! Ricky and the boys came out of the shoot with a lot of energy and quickly racked up a commanding lead over the visiting Hornets. You might even say that they took the sting out of them! You might say that. Or you might not. During the breaks, the Timberwolves Dance Team kept the high energy going and put on a quite a show. I sure do appreciate the hard work these ladies put into their craft. 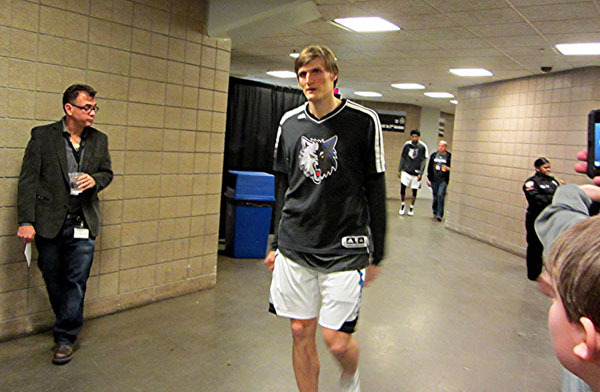 During half time, I always sneak down to the locker rooms so we can watch the players go back to the court up close. They're not the friendliest group of people in the world, but they sure are tall! So they got that going for them. 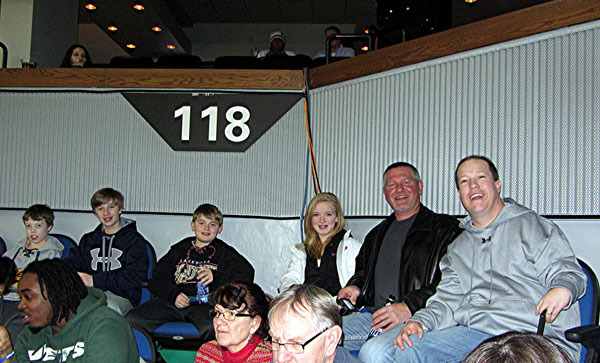 After we leave the locker rooms, we like to walk along courtside back to our seats so we get to see the players up close while they're playing. The security guards aren't nearly as patient when you try to take videos along the way, so my Vine video below is pretty choppy! You can briefly see the nice security guard step towards me and wave me on to "Keep Walking!" 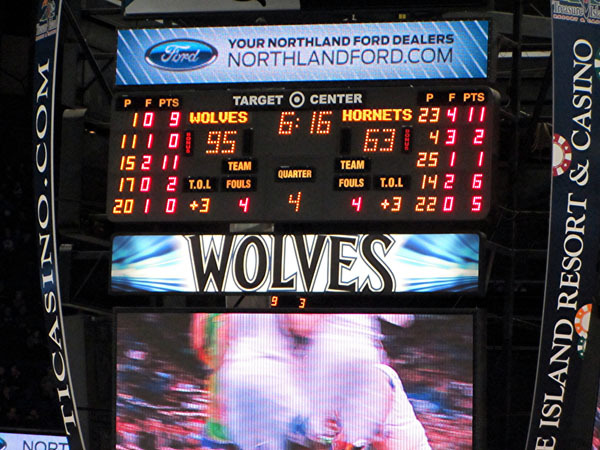 The Wolves went on to dominate the second half and eventually produced their most lopsided victory in more than 2 years. I'm pretty sure they did this especially for us which was very nice of them.